A true tourist is someone who gathers all information and then plans his holiday. Even travellers need to know what time to visit and what Egypt Events & Festivals not to miss. In Egypt, nothing moves people as much as religion. Since, with every hundred feet the world changes, it’s sensible to find out what affects people and how to plan a perfect Egypt Holiday. Religions play a vital role in Egypt social life. Since, 75% of Egypt's population is Muslim, with a Sunni majority; Islam affects social aspects of Egypt more. However, 22% of the population is Coptic Christian whereas other religions and other forms of Christianity comprise the remaining three percent. That’s why Christianity has its own place here. This is the most important Islamic festival that’s observed for a month with fasting and all. It is a celebration of the revelation of Qur’an to the Prophet Mohammed. Traditionally all Muslims fast from sunrise to sunset throughout the month. Even if they break their fast at sunset; drinking, smoking etc. are still abstained for total month. It is considered to be a time of keen holiness. This month affect restaurants schedules and shops stay closed till sundown. Opening hours for tourism sites may shift as well, closing one hour earlier to allow employees to get home to break the fast. 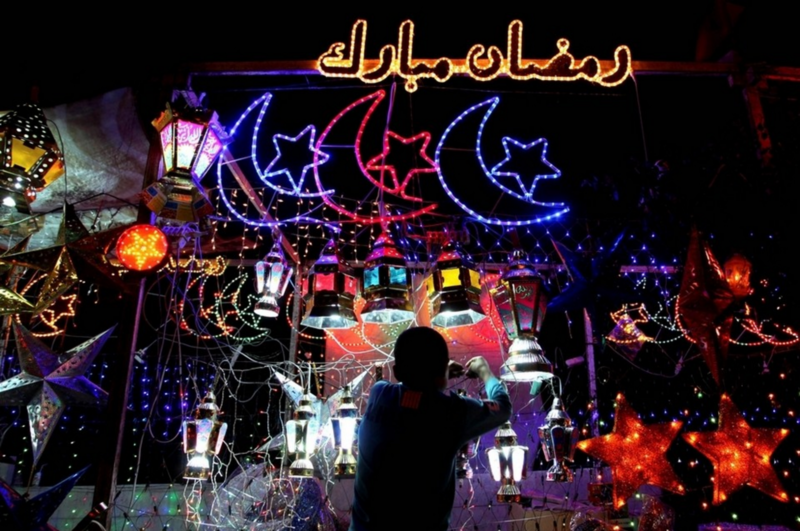 The ending of Ramadan is celebrated with Eid-al-Fitr, a national holiday. Visiting Egypt in this time is a rewarding experience. But even if you are not observing fast, be considerate of the fact that most people are fasting. Refrain from smoking and eating in public. • Coptic Easter: The most revered holidays in a Coptic Calendar. To commemorate the rising of Jesus after cthe rucifixion and is celebrated on the Sunday after the first full moon that follows the vernal equinox. Traditionally, 55 days fast follows Easter Sunday is called ‘Great Fast’. Holy Week is the final week of the great fast. It starts with Palm Sunday, seven days before Easter. People gather, pray and perform religious ceremonies in churches. All animal products, including milk, butter, and cheese, are not to be eaten. During this week, Coptic Christians pray daily at church. On the Great Friday or Good Friday, wearing black and drinking vinegar to mourn the death of Jesus is the general norm. Easter Sunday is the day of celebration. Family dinners are served to break the long period of fasting. New clothes are also bought and worn as Coptic Christians visit family members and friends at their houses. A national holiday to mark the beginning of spring. The day after Easter Sunday is observed as this auspicious festival known as Sham El Nessim. This celebration goes back to the times of ancient Egypt. So, Easter Monday is known as “Spring Day,” and in Arabic as “Sham al-Nessim“. Its origins are ancient Egyptian and the day is kept by people throughout the country of various faiths. 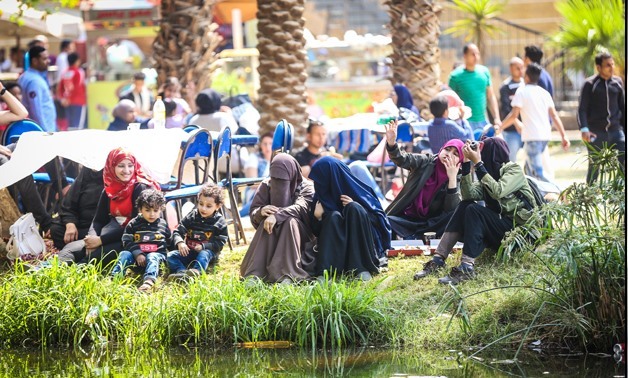 Egyptians from all religions celebrate together by going out to the parks, colouring eggs, and eating salted fish. These 3 are very important and marked festivals of Egypt are religious holidays. Apart from these 3, there are moulids, Eids, Coptic Christmas, Pharaonic Wedding, Abu Simbel Festivals, and etc. • Arabic Music Festival: The annual festival may not be observed as a holiday, but held at Cairo Opera House celebrates the music of Northern Africa. The traditional and classic Arabic Music is revived through concerts, live performances etc. to keep the cultural extravaganza keep flowing and growing. • Cloud9 Music Festival: A music festival that is held in the sand of Sinai beaches is one of the non-commercial shows that bring music lovers and tourists to enjoy underground music openly. Independent musicians stage a series of concerts and workshops through this multi-day feat appreciating the natural delight of Sinai. • 3alganoob Music Festival: A spring day musical, multiday starrer camping festival held to promote the lifestyle of tribes and Red Sea beaches are one of the best Egypt tourism has to offer. This extravaganza comprises of independent movies, live bands, jamming sessions, drum shows, yoga lectures and beach cleanups etc. To better understanding, go to Egyptian Holiday Calendar to find the list of festivals and the calendar. Join the fun and be a part of a colourful Egyptian Festivals. NILE HOLIDAY loves to bring you the true essence of Egypt without cost.